J4/13 - Entrepreneurs That SOAR! 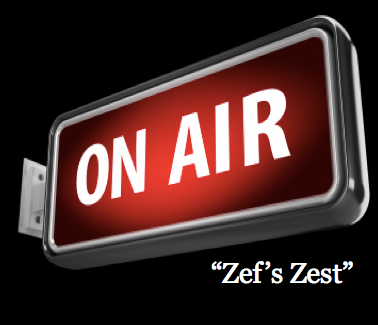 Watch other episodes of "Zef's Zest TV" here! Here are your email and call scripts as promised! How are you? I just want to send you this quick email to follow up on the promotional email that I sent out last week. Did you get a chance to take a look at it? I know you're probably busy and if you haven't had the chance top review it, I'd just like to remind you that the deadline for the promotion is __________________. I remember the last time we spoke, you did as me to remind me of any good promotions that my business offers and this is one of them. If you'd like, I can also call you to go over any questions you may have about the offer. What would be a good time for us to talk? How about we schedule a 10 minutes call <be specific and name the DAY and TIME and give OPTIONS!> so that we can catch up too? How does that sound? Thank you for your time and am looking forward to speaking with you! Hi <NAME OF CUSTOMER/CLIENT>. How are you? This is <YOUR NAME>. The reason I am calling is to say "hello" and to also find out if you received the "Valentine's Day" <or any other holiday or reason> promotional email that I sent you last week <or name the EXACT date you sent it out> Did you get the chance to see it? It's ok if you haven't had the chance to do so but I just wanted to call to remind you that the promotion ends <name date> and I just wanted to make sure that you don't miss out on the opportunity to save some money and also get a great gift for you loved ones. I know how busy you are and just wanted to check in to see if you had any questions that I can answer or, if you needed help with placing an order. I also recall the last time we spoke that you did ask me to remind you of any upcoming promotions. Please do let me know if you have any questions. You can definitely call me back at <your phone number> latest by <date> should you see anything you like and would like me to help order it for you.